Another outing with the lovely East Bay Sketchers meetup folks. 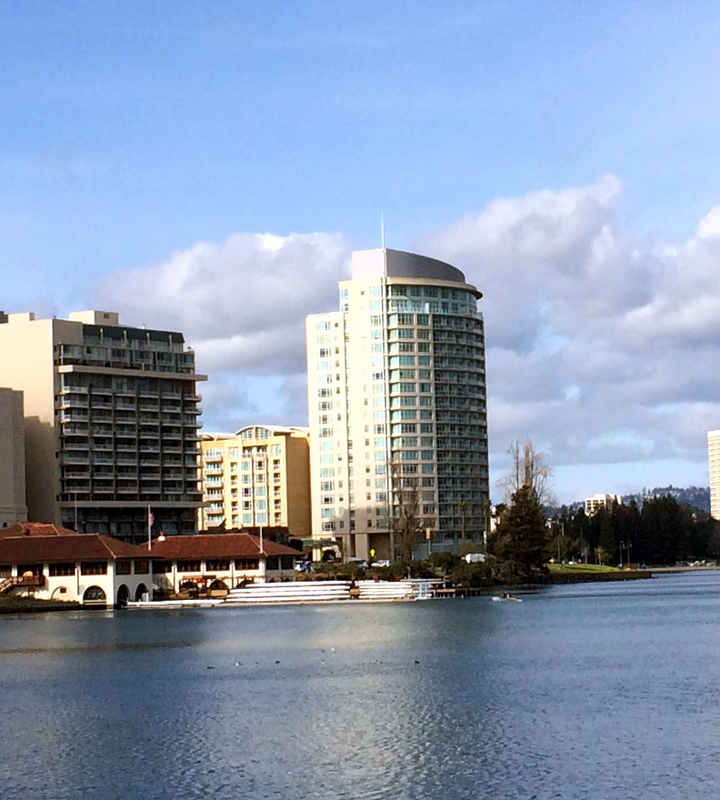 In February we headed to the South West side of Lake Merritt in Oakland. 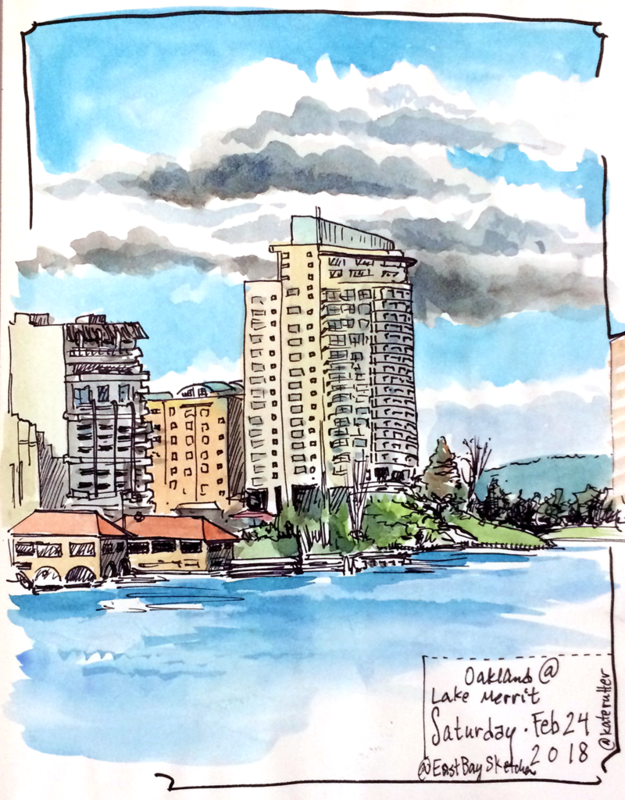 It was a little chilly, but a perfect day for sketching: clear water, scudding clouds and lots of people out and about. I came prepared to get out of my comfort zone. A few years ago I bought a set of bound watercolor paper in a size that both inspired and scared me: 6″ x 18″…perfect for extreme compositions like panoramas or dramatic heights. For months I’ve looked at this and wanted to use it, but I was afraid of it! So at this meetup, I came with it, bound and determined to give it a try. It was hard…I like to work fast, so the time commitment for a long-form drawing pushed my patience. It took 2 hrs 15 minutes of focused observation and sketching to complete the panorama across the lake. The longest I’ve spent on a sketch in years. Now I know I can do it, and I have 11 more sheets to practice. Buildings across the lake under dramatic clouds.